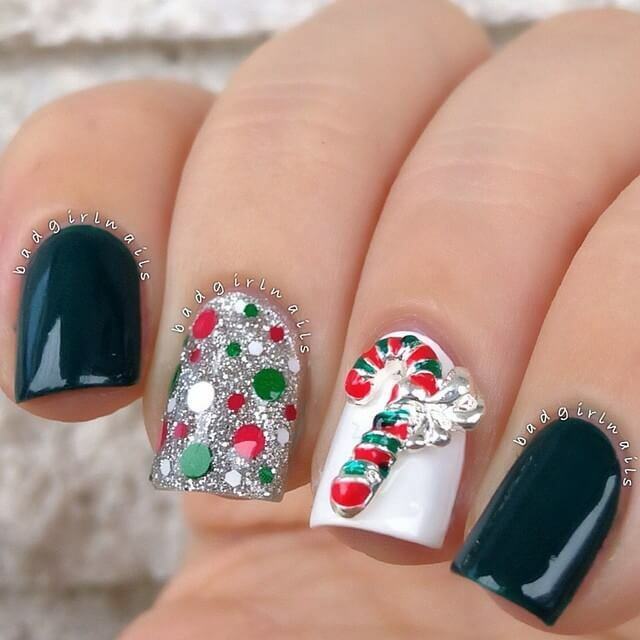 @badgirlnails created a simple, classy Christmas manicure using dark evergreen, white & silver glitter polish topped with large pieces of green & red glitter. She finished this nail design off with an adorable candy cane nail charm! Perfect candy cane nail design for the holidays.